I’ve not, unfortunately, had the opportunity to try any of the India Session Ales (also known as “American session ales”, “Session IPAs” and “Light IPAs”) Brian Yaeger talks about in his piece, but in April I did get to try something I suspect may be similar, DNA New World IPA, the collaboration beer made by blending concentrated “essence of Dogfish Head 60-minute IPA” shipped over from Delaware with beer brewed at the Charles Wells brewery in Bedford. I drank it on draught at the Britannia in Allen Street, Kensington (not as good a pub since they knocked the two bars into one). While it was less hoppy than 60-minute IPA, at 32 IBUs rather than 60 (and lower in strength, at 4.5 per cent ABV), there was still masses of floral flavour and aroma from both the Dogfish Head addition and the dry-hopping with Simcoe hops the beer had been given in Bedford, so that this was very clearly an American IPA, not a British one. I enjoyed my pint. But I only wanted the one. Palate overload set in after just that single glass. 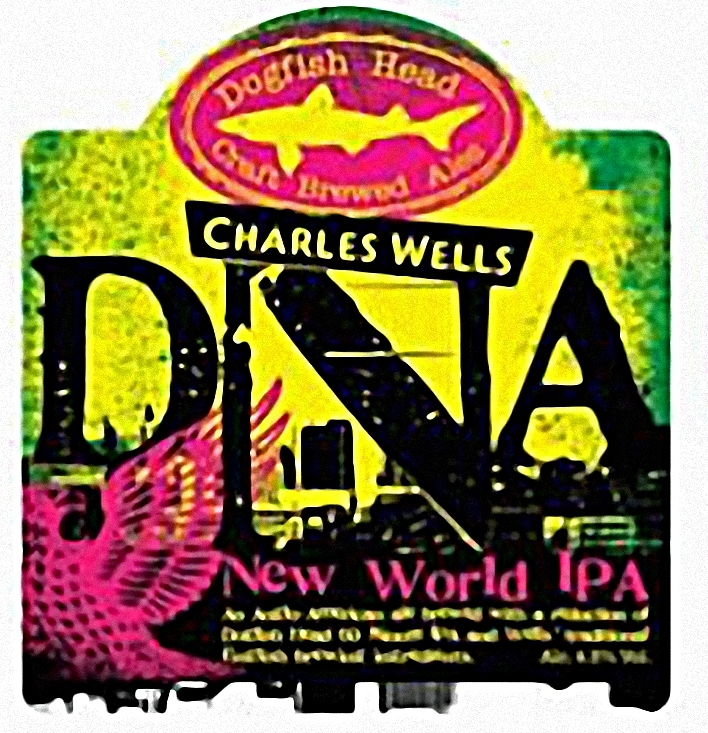 And that means that, regardless of its strength, DNA New World IPA cannot possibly be a session beer. Don’t, please, think I don’t like, and enjoy, big, floral, hoppy American IPAs: I do, very much. I think Sierra Nevada Celebration is a world classic (and as I’ve finally now drunk Pliny the Elder, thanks to the very nice Jeff Alworth, who sent me a bottle as payment for looking over a couple of chapters of his forthcoming Beer Bible for e’s and o’s, I can say I believe Celebration to be better than Vinnie Cilurzo’s version of the Double IPA). But there’s a time and a place, and the time for big, hoppy beers ain’t when you’re having a session with friends. Yaeger lists 14 different beers he believes can be categorised as ISAs, all between 40 and 60 IBUs and 3.5 to 4.7 per cent ABV, of which four are from California and four more from either Oregon or Washington, which suggests this may well be, like the American IPA itself, a West Coast-powered phenomenon. As yet, only one brewer, my (brief) research indicates, is brewing an ISA outside the United States, and no surprise, it’s in Victoria, British Columbia, just a short (for North America) drive north of Seattle. Many of these beers seem to be summer-only seasonals, with Trader Session IPA from Uinta Brewing in Utah, 4 per cent ABV, 42 IBUs, described as ” one of the few year-round session IPAs”. Is this a style that is going to catch on outside the US? After all, that other oxymoron, the “Black IPA”, was laughed at by many when it first arrived, but is now brewed by some very respectable brewers far from its North-Western US birthplace. There is already, I suppose, Dead Pony Club from BrewDog, at just 3.8 per cent ABV, to suggest that at least someone in the UK is already brewing an “ISA”. And Fuller’s Wild River, 4.5 per cent ABV and flavoured with Liberty, Willamette, Cascade and Chinook hops, would probably come under the “ISA” definition if it were brewed in San Diego rather than Chiswick (though while I’m sure John Keeling at Fullers probably thought he was brewing a British taken on an American Pale Ale, I’d be very surprised if he thought in terms of an ISA. To almost all Britons, an ISA, pronounced Eye-sa, is an Individual Savings Account.) All the same, some of the beers Yaeger talks about have been around since at least 2006, which suggests this is a style that has yet to take even its homeland over yet. Before everyone piles in, of course, we’ve been drinking “session IPAs” in Britain for many decades: most of the first sessions I had as an under-age teen drinker in pubs like the Red Lion in Stevenage High Street were on (cask) Greene King IPA, yours for just 3.6 per cent ABV, and there were and are plenty of other low-gravity IPAs made by British brewers: Wadworths, Palmers and Charles Wells to name just three. But these are IPAs in the British sense, not really distinguishable from an ordinary bitter: indeed, more than 40 years ago, when I was knocking back several pints of Greene King IPA on a Friday night with mates, before weaving to the chip shop and the bus home, we never called it “IPA”, we only ever said “four pints of bitter, please”. It’s only in the past couple of decades, I think, that it has become normal to refer to the Greene King brew at the bar as “IPA” rather than “bitter”. If low-gravity high-IBU ales do arrive in strength in Britain, however, while I think I might have the odd one occasionally, if it’s the only beer I’m planning on having and I have work to do later, I certainly won’t be settling in for a session on them. You can add at least one Eurpoean beer to that list: Hop Lunch from Danish phantom brewery Stronzo, an American IPA at just 3.5 %. I have had it, and is is… OK, sort of. Yes, absolutely agree that intensity of flavour, and especially bitterness, is part of what makes a beer ‘sessionable’ or otherwise. There’s a sweet spot, which I guess is different for everyone, just across the line from ‘bland’, where a beer is tasty but not in-your-face or wearing. How does everyone think Dark Star’s Hophead stacks up? Definitely sessionable, definitely no palate overload, yet still crisp an hop-led. Ha, just saw your comment after I left mine! I agree that there’s an argument to be made for that genre being ahead of the US curve. Brewsters have been brewing a beer aptly named Hophead , 3.6% ABV , since the 1990s so nothing new in such beers.. It’s very drinkable and a couple of pints go down exceptionally well. Whether I’d drink it all night is a different matter but plenty of people do. Magic Rock’s Simpleton is a Brit-level alcohol with big IBUs but works, I would say that just for once we were well ahead of the curve on that as there’s an argument that things like Trinity from Redemption and even Dark Star Hophead could fall into the session IPA category – which is basically just the American’s way of coming to terms with the trend in sessionability! Disagree – the only British beer I’ve had which has come close to the new Session IPAs is something like Nanny State in terms of the levels of bitterness. I’ve not had Simpleton but Hophead is way way off in terms of the flavour profile. These are certainly not American Pale Ales with a different name, I’ve seen the name “Norcal Bitter” used a couple of times in the last month which is a much better name in my mind. APA in the US means crystal malt-laden sweetish SNPA clone! I can usually drink two pints of IPA maximum before I feel the need to switch to something less hoppy. My taste buds will be in sensory-overload if I continue. 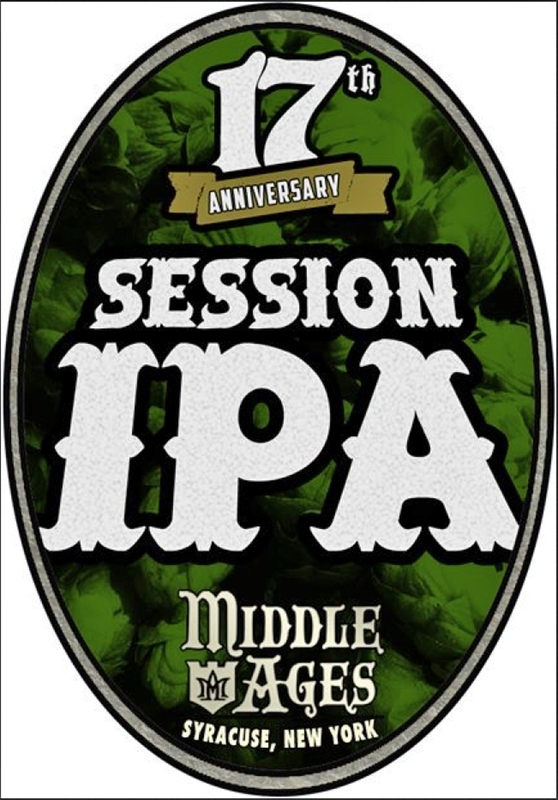 “IPA” and “session” do not belong in the same sentence. On the other hand, I have friends who will drink it continuously and just want more. Sounds a little odd to me. I think Melissa and Uncle Dunkel have nailed it with Hophead, which, unless I’m missing something (and I usually am), pretty much fits the bill of a pale ale. A more cynical view could be that some brewers think that drinkers perceive the only beers to have masses of flavour are those with ‘India’ used as a style marker. Or any ‘I’ for that matter. How long before someone produces an Imperial Session Stout? Imperial Session Stout?…. ! !… Don’t let the Cascadians hear you, they’ll jump all over that idea! Oakham Citra has to be a UK contender. I don’t believe I’ve seen one of these, but I know how to make one: take any 70-80 IBU Double IPA (7.5-9% ABV), pour 10 ounces into pint glass, fill glass with a clean neutral (not saline/mineral) soda water, swirl well to amalgamate. The name Session IPA or India Session Ale implies that session beer in general is a weaker version of an existing style. Maybe some brewers look at it that way, but most session beers are styles in their own right. And I couldn’t agree more on palate overload, the whole reason I love session beer is the flavor profile. I dislike beers that are fatiguing, and many US hoppy session beers are just that. Clearly a matter of taste, isn’t it. I could quite happily plough through 6-8 dead pony clubs, oakham citras, or moor revivals in an evening. Far from being overwhelming, the citrussy, piney, clean hit of bitterness instead just makes them extremely morish. The new world hopped but sensible strength pale ale is comfortably my favourite beer style. In fact I think if craft beer is ever going to “conquer” the mainstream, this will be the vehicle to do it. I am looking forward to the birth of black india session ale. Indeed, Dark Star’s excellent “Art of Darkness” (its compulsory at this point to point out what a terrible name for a beer that is) has already got this one covered. I was talking more about the birth of the terminology/craze than the beer itself. Absolutely. Jarl, any number of Mallinson’s pale 4% beers, Golden Pippin (stretching it), Wild Swan, Buxton Moor Top, or of course, Windermere Pale…pint after pint with no hint of fatigue. I prefer the term “half-CDA” or “half-BIPA”. Half the malt, all the hops. Borrowed from the cuckoo Steel City’s coining of “half-IPA”, of course. Well indeed: I’m sure if you sold a good chocolatey unsweetened dark mild as “Cascadian session ale” it would have the hipsters climbing over each other to buy it. Conquer the world more like it. Over here in France, I have friends begging me to home brew stronger more floral/citra IPAs. Matter of taste is also a matter of quality. A good over-powering IPA is preferred for an entire evening over a corn sugared macro beer. “Session Beer” is defined as low ABV or something that will be consumed for long periods of time during a single day? I session porters in both definitions. I have to say, I haven’t heard much mention of the term “ISA”, stateside. I’ve seen a few labels noting session IPA, but I think we’re a ways away from common usage of India Session Ale. I, for one, am glad to see lower strength, bitter beers on the market. For the record and contrary to what many people believe, Black IPAs were birthed in Vermont, not “North-Western US”. Or even in Burton on Trent in the 1880s. Thanks for the correction. I never knew of that style. Notch Brewing in the Boston area put out a 4.3 IPA that was pretty drinkable to my taste (give me a sweet German lager, please). http://www.notchbrewing.com/2013/03/23/left-of-the-dial. They don’t give ibu stats, but I think they made it plenty hoppy, flavor and aroma – wise, but still restrained the bitterness so that it was fairly drinkable. The session IPA (a term the curmudgeonly Notch guy eschews) maintains balance by leaving the beer with enough residual sugars. It’s a challenge to do, but it’s the only way these beers can work for even the most hop-loving tastes. Even this has its limits, however. The balance of beer (Mitch Steele rightly highlightse this need even in hoppy beers) isn’t twofold – bitter and sweet. It’s three, four and five fold. Alcohol content matters, as does yeast phenols and protein that makes up much of the body of a beer. Again, with the session-style limits of ingredient volume, especially the express limit of alcohol content, hoppy session beers run up against real limits that hoppy beer makers need to heed. What? Residual sugars–the only way these beers can work? Utter nonsense. Pilsner or PA malt, *no* crystal malt, and loads of hops, late in the boil, are the only way these beers work — not making them weaker versions of sweet American strong IPAs that are burdened by dark malts! Wasn’t talking about crystal malts, so please don’t take offense. They aren’t the only way to get sweetness in the finished beer. I’m with you on the late boil hops, though. Based on yet another IPA variant appearing, I give IPA another 5 years at most before it starts to freefall. We’ve surely entered the final upwards phase of wild popularity, to be followed by a dramatic switch to unfashionability. Ron, I’d love to believe you, but it’s hard to see what Americans (in particular) will do without their precious hops. I’m only 30% facetious when I ask what you think is next (and I know you’re biased, so don’t say mild unless you can back that up). I find myself rooting for proper German-style light lagers. But that’s me. Eventually they’ll get bored of hops. I wouldn’t like to guess what the next big thing will be. I prefere looking backwards rather than forwards. Point is that IPAs are at present very popular among a very small proportion of American beer drinkers.As over 90% of these drink macro lagers , IPA is hardly a fashion. I’ve already tasted a hop-free gruit-based IPA…retro enough for you? From a Septic’s perspective, I agree IPA variants are out of hand and expressed my thoughts on this recently ( http://www.newschoolbeer.com/2013/04/ipa-is-dead-white-chocolate-is-not.html ), but the basic style cannot, will not, disappear or fall out of favor. Here in Oregon (a not fair comparison to much of the US), it’s already over 25% of the beer market (not craft beer, beer overall) while also experiencing the most growth (over 25%, meaning it’ll soon account for over 30% of the overall market). White IPAs and Black IPAs and Polka Dot IPAs may evaporate, but bold, hoppy IPA? Never. And I say this is a guy who does not even drink an IPA one out of every four pints! The borrowed nomenclature is misleading, but modern American IPAs are no fad. The virtually unprecedented flavours generated by the use of large amounts of new world hops has made beer more appealing to a completely new set of young drinkers that would otherwise probably not be drinking ale at all. Every favourite style in the past has eventually declined. I don’t see why IPA should be an exception. I don’t think we’re quite at the end of history yet. What’s interesting to me is that the idea of reproducing that kind of flavour profile at lower strengths really isn’t new. Not all low-strength IPAs are bitters under another name, like GK IPA: if you try Holt’s IPA, St Austell IPA [sic] or Marston’s EPA you’ll get what’s basically an IPA dialled down to session-bitter strengths (3.8%, 3.6% and 3.4% respectively). The Holt’s frankly tastes a bit weedy, but the other two are pretty good – you’d never guess their strength on a blind tasting. It sounds to me as if, having invented (and set a lot of store by) the Double IPA style, the crafterati have shifted the definition of IPA so far up the ABV slope that people think a session-strength IPA needs a new name. Maybe they should just call them Single IPAs and have done with it. You have a good point with the difference between big IPAs and the hoppy UK golden ales — the alcohol content adds a lot, and if there’s crystal malt involved, it often makes an American IPA a sweetish mess. But your examples of the traditional English sort of IPAs in Holt’s, St. Austell, etc., don’t equate with making a really hoppy beer dialed down to 3.6% though. Those simply aren’t as hoppy as the likes of the Moor Top, Mallinson’s, or even the old Bitter & Twisted, IMO. No, but IPA doesn’t (just) mean “really hoppy” – which is why IPAs may be less sessionable than other hoppy pale ales. Holt’s and St Austell’s IPAs – and Marston’s EPA – aren’t “traditional English” IPAs (like GK) – they’re relatively new beers, which are recognisably IPA-ish in style. They don’t have a huge amount of bitterness, though. Perhaps that’s the new thing the “ISA” brewers are trying to do – keep the contemporary IPA flavour profile at lower strengths, including the high levels of bitterness? If so I think I’d agree with the suggestion that it’s quite like what Kernel are doing with their Table Beer. I see this discussion coming down to, as is often the case, simply a difference in definition between the U.S. and the U.K. ‘Session’ means something slightly different in the U.K. than it does in the U.S. Bailey points this out when he says, “…that the intensity of flavor, and especially bitterness, is part of what makes a beer ‘sessionable’…” I don’t think flavor is a factor in the U.S. definition. I think the U.S. understanding of ‘session’ is that the beer simply be under 5% ABV. There are plenty of Americans who who would be content to sit and drink 4, 5, even perhaps 6 pints of high IBU IPA’s. The American pallete—and I know a bunch of people are going to disagree with me on this—leans toward bitter beer, and IPA sells very well. It was forgone conclusion that lower strength IPAs would eventually begin to catch on in the American market. I remember, vividly, having a conversation with a bartender friend, three or four years ago, in which we both agreed that one of the next big trends (in the U.S) would be session strength IPAs. The few I’ve had have been more aroma- and flavor-forward than overly bitter. Get me big hop aroma in a reasonably balanced beer with a low-abv frame, and I promise not to get hung up on semantics and nomenclature. The Kernel Table Beer would be another UK contender, I think, at around 3%. Or isn’t it considered hoppy enough? No, Table Beer is a great example. I think if a brewery could crack the art of making something like that at a sensible cost and getting a wide distribution, it would sell very well even with non beer geeks. Of course we used to have bitters in this country such as Yates & Jackson and the old-style Boddingtons and Holts which were regarded by many as enamel-strippingly bitter, and so in a sense were precursors of this style. Marble Manchester Bitter manages to recreate something of this character. There was also a “style” called Black Burton Ale identified by Frank Faulkner in his late 1800’s manual on the theory and practice of brewing. This was a purported porter that in fact tasted much more like a (well-hopped, at the time) Burton Pale Ale, hence the moniker given by Faulkner . This was about a century before the first glimmerings of Black IPA appeared in the craft brewing world. There really is little that is truly new. Thanks Martyn! Having a beer with you will be more than recompense, when same can be arranged. There has been a number of these brewed outside the us. I brewed one in Denmark and now one at my new place in the UK. Kernel has one with their table beer. Magic rock has one with their simpleton. There are a good bit more made in Scandinavia. Not sure what you did for research but this style is already overseas and has been for a bit. No need for the attitude. There is a new phenomenon, which Martyn’s writing about here, of brewers pushing “ISAs” as if there had never been a session-strength IPAs before. It’s interesting partly because news is interesting, but partly because the brewers who are yelling about ISAs may actually be bringing something to the table. What you’re writing about are IPA-like beers at session strength – a style which isn’t new, as I commented above. Research? I looked for beers called “India Session Ale” in Slatebeer and Bee Avocado. 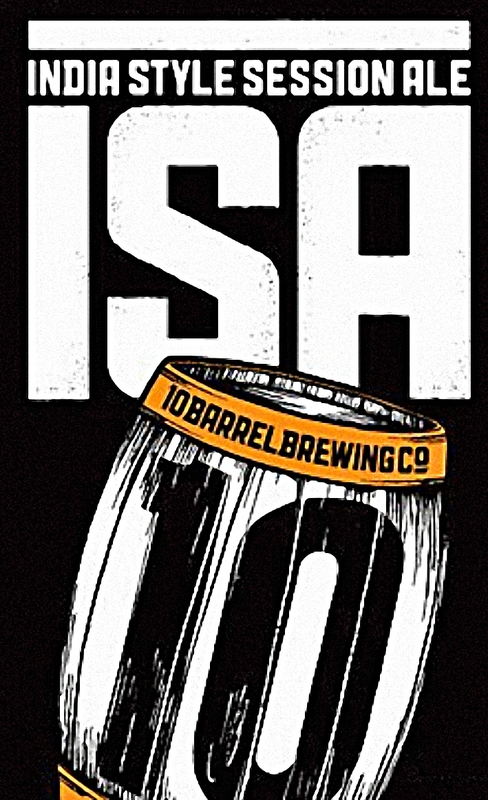 The piece is primarily about beers specifically self-defined as ISAs, and what that means. If you’re telling me that the style is found outside the US but not under that name, then I suggest that’s something different. If you’re telling me Kernel’s Table Beer is an ISA even thought it doesn’t call itself one and there’s a fair chance Evin O’Riordain has never heard the expression, that’s something different as well. The Buxton Brewery’s Moor Top might fit the bill. At 3.6%, it’s a mouth (and nose) full of hops. It describes itself as a “pale ale”, but the intensity and slight grassiness makes me minded to append at least a small ‘i’ to the “PA”. Martyn, which brewery in Victoria, BC are you referring to? Spinnakers Brewpub. Canada’s first brewpub. Their ISA is the best thing they brew currently. There is an argument for Oakham Citra (sorry Hophead is not hoppy enough) and some of the others mentioned fitting the bill but, for me, what sprang to mind was Magic Rock Simpleton. That really is the style they’re aiming for. And they’ve cracked it. Kernel Table Beer is in the same class, although technically a different style. And what about Windermere Pale? That has to be the best cask example of a low-strength, highly hopped beer. Up in the cold North, a session ale is something that you can and will drink a shedload (a lot) of with your mates. As I and my merry men like bitter beers, far from putting us off, we welcome these ISA types with open arms. Wait…I thought it was the grim North! I agree, Hophead isn’t quite there, but a good pint when nothing hoppier’s around. You’ve shot your load though, by mentioning the champion of hoppy “session beer” in Windermere Pale, the beer that got me started homebrewing going on three years and over 140 22-litre batches ago. 3.5% and splendidly hoppy, with no crystal malts mucking things up…yes, please! It’s interesting that the US has climbed down from its concept of IPA and that we have climbed up from basic session pale ale/bitter to reach the same result: a 4%ish beer with more hop flavour. As others have noted, this is the style that will be most vigorously embraced by the mainstream here in the UK. If it also tempts over more keg bitter and lager drinkers then it’s all for the better, I suppose. But as others have said, you’ve already had such beers in the UK for years: Bitter & Twisted, among dozens of others. The US are just now catching on, but as part of their new “session beer” craze: anything under 7%. It was the likes of these beers that led me to start brewing my own at home, at a theoretical hopping rate of 100+ IBUs: pale or Pilsner malt only (well, a bit of wheat for protein), only 1/6 of the hops given at the start of boil, the rest toward the end for flavour & aroma. Because there ain’t anything like that in Franconia. I think Marston’s EPA is already pretty successful. That’s a pretty insipid beer, though, that never rises above “mildly pleasant”. We’re still short of mega-hoppy beers of session strength. Wind your neck in, eh? I think Marston’s EPA is one example of a range of beers which are in the same area as the beers being talked about, as I said earlier on. Here in little ol’ New Zealand, the mini IPA, as we call it, is a style that’s been toyed with for the past 3-4 years. Hallertau brews a seasonal called Minimus – a 3.8% American-hopped ale which would probably be more accurately described as an American Pale Ale than an IPA, because the big hop character imparts a lot of flavour but not all that much bitterness in comparison. 8 Wired brewed a one-off beer called UnderWired back in 2010, which was a 2.2% mini-IPA – 30 IBU (about 9 grams of hops per litre) and an earthy, bitter kick. It was too bitter for my liking, but it went down a treat with IPA lovers here in NZ who wanted to have several pints of IPA down at the pub and still drive home. A few of us beer lovers thought the hoppy session beer style might catch on with NZ craft breweries back then, but it didn’t really. Though, we do seem to take our craft brewing trends from the US, so if it’s a style that’s growing over there, it will only be a matter of time before it kicks off again here. Plus, everyone LOVES Minimus. Marston’s EPA is 30-35 IBUs, as opposed to 50-60, and doesn’t taste even remotely similar to the other beers mentioned. It tastes more like a traditional British hoppy golden ale like Golden Newt, Harvest Pale, Summer Lightning etc. than a piney, grapefruity, thoroughly modern American style ale like Table Beer, Moor Top, Dead Pony Club, Revival etc etc. Its perfectly alright, a beer I will have if there is nothing else on. It scores 28% on ratebeer which is about right in my opinion. To my nose & tastebuds it’s totally different from Harvest Pale or Summer Lightning, with much more smoke & aroma generally. Yes, the bitterness is dialled right down, but I don’t think that automatically disqualifies it from being in the IPA ‘area’. Agree with you there – I’m certainly not saying it’s a great beer. Eek, don’t quote Ratebeer! It’s OK maybe if you put in the time to realise that the top scores are mainly for 7% + stuff and that styles American beer nerds like always get higher scores, but for the average person surfing the internet it’s going to be extremely confusing. They won’t realise 50% is actually good for some styles and they’ll just be put off trying those beers. I’m surprised to see that of all the valuable conversation occurring here, that no one has mentioned “marketing”. I believe that Mr. Cornell’s excellent book, as well as the work of other notable beer historians who post here, have made a case that the way the brewery’s chose to “market” there beers had more to do with our categories than specific style changes. One brewer’s bitter is another’s IPA and as Mr. Cornell pointed out with Greene King, that can occur in the same brewery over time. I prefer having seeing beers labeled one way, you prefer another. I prefer beers taste one way, you prefer another. The American BJCP guidelines have both UK and American IPA styles (category 14) starting with ABV in the 5-5.5% range. They then list Green King IPA as a commercial example of an English Pale Ale: Standard/Ordinary Bitter. Rings true to what Mr. Cornell said about it too. Since the various BJCP Pale Ale categories have strengths ranging in the “session” range, are we really arguing about IBU levels here? IBU must be greater than 50? Are we looking at aroma levels? (I believe the AU never made it because aroma contributions are a synergistic and complex interaction of hops and other items in the brewing process, like yeast. Since “yeast type” – however a microbiologist may wish to classify that for SC types – are not in the BJCP guidelines, the descriptive terms must take over. To finish that point, perhaps these “ISA” fit into an existing description already?) To my main point, the term “session” beer, as well as “India Pale Ale” itself, seem to exist for marketing purposes, not because of a distinct stylistic difference. Brewery’s that provide information on ingredients, etc. are more valuable than their labels to me. I wonder if there aren’t other consequences to be discovered from the way in which we classify beers and the ways in which brewer’s market their beers. One of my friends, who is not “interested” in craft beer, but tries different beers to see what he likes, has been confused by all of it. Last week he remarked: “They just throw that term [IPA] on everything nowadays, don’t they?” Dark beers, light beers, amber beers, strong beers, weak beers, ales or lagers – just has to smell or taste like there are some hops, and we’ll use the word “India”. Incidentally, I meant to comment that Martyn did more than check “e’s and o’s” and I felt a bottle of Pliny was the least I could do. Martyn is a gentleman and a scholar and I am in his debt. Samuel Adams recently introduced what they labeled an IPL: Double Agent India Pale Lager. At 5% ABV and IBUs at 43, it is a bit strong for a session beer. But it has a nice crispness for a spring/summer offering with strong hops aroma, mostly grapefruit, which is my fave in the citrus aromas. Another interesting trend: Hopped Up Wheat Ales. Our local micro in Kansas City–Boulevard Brewing–took their very popular but, in my opinion, bland and too sweet Wheat Ale and created 80-Acre Wheat. (http://www.boulevard.com/BoulevardBeers/80-acre-hoppy-wheat-beer/) I love it. Tons of hops but not laden with that heavy malt side which isn’t sessionable, especially in the summer with 100 degree temps. Mothers Brewing in Springfield, MO, just released their own version, at a slightly lower ABV. (http://mothersbrewing.com/craft-beers/our-beers/sandy/). It’s also very refreshing. A recent trip to San Francisco took me to the (Sugar?) Magnolia brewpub in Haight Ashbury, where sessionable beers seem to be coming into style. They had several beers at 4.5% or below, including milds, which have not been easy to find in this craft beer revolution of the last decade or so. It was “Session Beer Month” in May, however. Perhaps this west coast trend will reach Missouri in about 10-15 years! The Magnolia have been doing English-style (aka proper session strength) cask conditioned beer for many years, going back at least to the late 90’s, FWIW, so it’s not really just coming into style there, at least. I think that was always their goal: an American-style brewpub with English-style beer. I’m all for for more hop flavour – just to add colour to a crowded market, if nothing else – but people have got to realise that it’s not just ABV that makes a session beer. Loads of IBU is going to make the beer just as tiring on the palate as alcohol – just in a different way. But as Jeff points out: http://beervana.blogspot.com/2013/06/americans-are-not-doing-it-wrong.html What constitutes a session and what the boundaries of a session beer can be geographical. I had Alpha Session the first time I visited the Bay Area and thought it was stupidly unbalanced. Now I find it deliciously unbalanced :-). ‘Delciously Unbalanced’…I like that, Simon. Hmmm – looks like it’s “The United States and the United Kingdom – Two Nations Divided by a Common Liking for Beer”. These beers have been kicking around mostly on keg and brewpub taps for the last several years here in California. “Norcal Bitter” was one of the first names I heard maybe three years ago to describe a couple of 4%-ish beers by Triple Rock in Berkeley, as well at Bitter American by 21st Amendment in San Francisco. The above mentioned Even Keel from Ballast Point in San Diego is one of my absolute favorite beers ever and maybe it’s my West Coast palate, but I find it quite balanced and drinkable in flavor despite the heavy hop aroma. It even inspired a blog post from me about a year ago, which was decidedly shorter than yours here, though touched on some similar points. That’s the thing though, as Jeff alluded to in his recent post as well–taste is very regional and we have no problem drinking pint after pint of 50+ IBU beer here on the West Coast of the US. In many cases, that’s of 5%+ or even 7% beer. But our “sessions” tend to fall short of the 8 pints or so I see commonly thrown out as typical in the UK. Not many people can drink 8 pints of regular West Coast IPA in any reasonable time frame and still function. My liver is just thankful that 4.5% and under beers are now becoming more common, if still not actually common. Have you tried Green Flash’s Citra Session IPA? It’s somewhere between Even Keel and Green Flash’s West Coast IPA, at least in terms of hoppiness and malt backbone. 4.5% ABV too. havent the American brewers engaged in Wetherspoons festivals of late been trying this though for some years, as they recognised they wouldnt be able to sell their higher strength versions of their IPAs, but wanted to hit same flavours and tried to get them down to “session” level. Im sure one or more of them have done that of late as I remember friends in America telling I had to try this one American IPA beer on the list, and I had to explain it was only 4.2% not the eye watering >8% version theyd expected…did remember thinking it wasnt upto much even if I dont recall the name off the top of my head, so maybe theyve been experimenting. but surely any UK brewer over the last five years producing an American IPA thats less than ~4.2% is hitting this “session beer” area. You mention Greene King, well Yardbird (which some people have decried as simply a low alcohol American IPA) is exactly that kind of thing, even if they havent quite hit the full on flavour youd expect in an American IPA, its that direction surely?. also FWIW GK IPA was always just IPA in Suffolk pubs IME,but thats when it was just a name of a local beer,not this whole mess of beer style labelling which seems to get increasingly complicated every year. I think you can still walk into most pubs round these parts and ask for an IPA and automatically get offered the GK version. We brewed a “Session IPA” at Wadworth 2 years ago for Wetherspoons, and our first foray into the style was a year prior, when we brewed “San Diego County Session Ale”, a 4.2% pale beer that was hopped in quantities and varieties similar to a Double IPA (homebrewer Kelsey McNair’s recipe was incidentally inspired by Ballast Point’s Even Keel). Now that kind of hop usage borders on irresponsible, but it was a fun beer to brew, and it did end up tasting great. The concept of session beers differs greatly between the UK and the US, and the beer drinking culture is very different. I see plenty of debate on what the abv should be for a session beer here, and I think people are settling for 4.5% abv or less. That being said, it is a challenge to brew an extremely hoppy ale at this abv and still have it taste like beer, and not like a hop tea. In 2008, we brewed our first beer for Wetherspoons (at Shepherd Neame), and we had to fight hard to keep the abv at 7%-a typical level for Stone, and for San Diego area craft brewers. What was interesting was at the release party in London, there were several brewers who wouldn’t venture to even try it, because the alcohol was so high. That is so radically different from here-where 7% is middle of the pack. Pingback: Cervejóide #23: Confraria Avançada, o Tumblr do Cervejóide, #Cervadasemana e mais | Factóide! Way off here (due to imbibing some old ale)and probably shouldn’t comment at this juncture and really haven’t tried any of the session IPA’s per se. With all of the Double IPA’s issued in the USA with gravities approaching or near Barley Wines, I can see the necessity for a “Session” IPA. Personally, I believe there is a market for this being(myself included) head out to a pub, knowing the premium on a pint and trying to “economize” look at the beer menu and being hop heads decide on the hoppiest alcohol laden choice available which is usually the IPA2. Session beer it is not! For me, as a home brewer ,getting back to medium gravity(5.5 ABV max) Pale Ales with appropriate dry hopping and IBU’s exceeding 40 IBU’s are sufficient enough for me to adjust my brewing in these times. Just my spin. I’m American and I can’t seem to hide from the bombardment of overly hopped citra-pine, grass swill. Sessionable or not, ipa or any other style for that matter, it all tastes the same with too much hops. lagers? Belgium wits, stout??? The trend is out of hand, I may have to get back on that boat my ancestors took and return to the birthplace of it all. More balance, less hops, more pints, less headaches…If you want more alcohol, drink a whisky! Forgive me for committing the internet faux pas of commenting on a 2 year old blog entry, but I’ve been working my way backwards through your blog and just discovered this article. From the stance of a relatively young (33) craft beer drinker, who doesn’t really remember what the United States was like when it was what I like to refer to as the “beer desert,” I’ve only ever really known beer with big, bold flavors and high ABVs. Beer culture here is still so young, thanks to the reset it got from Prohibition. Whatever traditions existed prior to the 1920s mostly disappeared, and are kind of a mystery to us. Our beers aren’t based on tradition as they are in Europe, they’re based on blazing new trails. To a Brit, a session beer has a pretty specific connotation. To an American, it’s a word we borrowed from you and throw around a bit more freely. The term is relative, as you suggest, so when you’re used to most of your craft beers being in the 6-8% ABV range, suddenly a beer with a 4.5% ABV DOES feel sessionable. Honestly, I think if fans of American craft beer were to try what someone from the UK considered sessionable, they’d likely find it too light. More specifically to the topic of American IPAs, there is a noticeable shift in recent years of backing away from bittering hops and leaning more on aroma hops. Intensely bitter beers can be quite tasty, but you really can’t have more than 1 or 2. While I agree “session IPA” is a contradiction in terms, and I hope we eventually arrive at a better name, the concept is a breath of fresh air. Beers that benefit from all of the wonderful qualities of American aroma hops, without the sticky, cloying, overly bitter finish that full-strength and double IPAs can often have. So to me, something like Founder’s All Day IPA, Lagunitas Day Time Ale, Oskar Blues Pinner, or Carton Boat Beer IS a session beer, and are beers I would gladly drink (and have drunk) all the time. Why’d I write the original story when I should’ve just had Brett write it?! Ha! Anytime, Brian. I’m happy to prattle on about beer indefinitely. I’ve gotten really hooked on Sierra Nevada’s Hop Hunter IPA, but at 6.2% ABV (with 60 IBU), it’s no session ale.